1118156595 -Transform your mathematics course into an engaging and mind-opening experience for even your most math-phobic students. 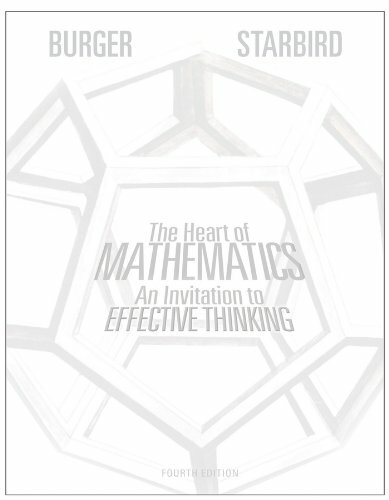 Now in its Fourth Edition, The Heart of Mathematics: An Invitation to Effective Thinking succeeds at reaching non-math, non-science-oriented majors, encouraging them to discover the mathematics inherent in the world around them. Infused with the authors’ humor and enthusiasm throughout, The Heart of Mathematics introduces students to the most important and interesting ideas in mathematics while inspiring them to actively engage in mathematical thinking.